13 years ago, shortly after the arrival of my second beautiful bundle of boy, I was assessing my career options. I was facing the triple challenge of staying at home with my children and expressing the creativity that has always been so important to me and earning a living. One of the baby-friendly ways I’d found to research my options was to listen to audiobooks during the many, many hours of pram-pushing through the Yorkshire countryside. 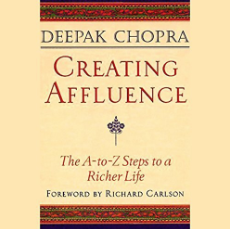 And one of the books that made its way onto my listening list was Creating Affluence by Deepak Chopra. In the book, Deepak describes an alphabet of success strategies that lead to health, wealth and happiness. I loved this book and listened to it many times. So many of the ideas were inspiring and thought-provoking. But it was the letter D that sparked something significant all those years ago – something that set me on a path to the work and life I enjoy so much today. 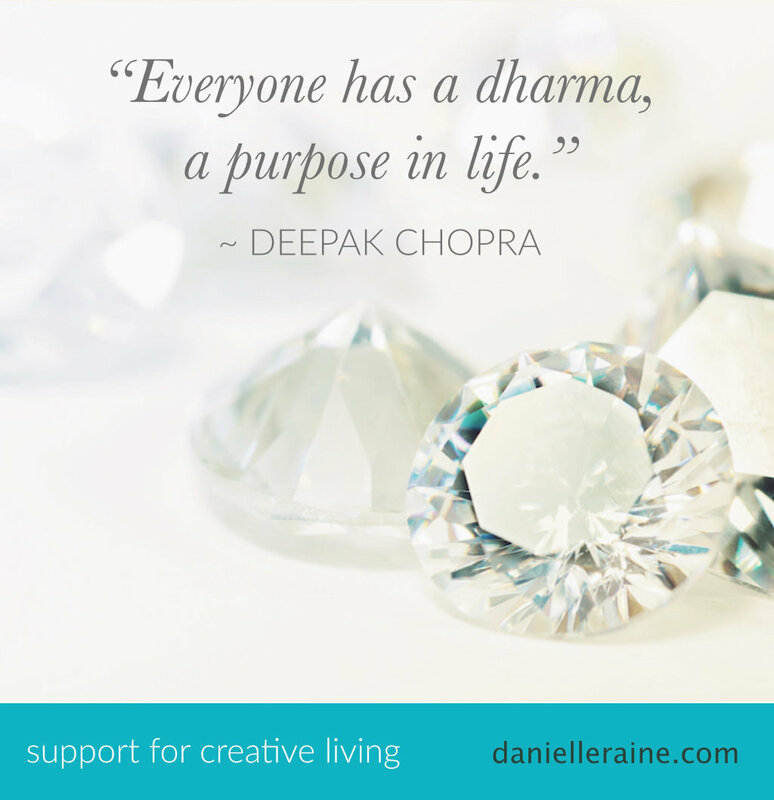 In Deepak’s alphabet of affluence – D is for dharma. And that single word, a strange Sanskrit term I’d never heard before, captured my attention and opened my eyes to what is actually possible in terms of career, success, purpose and (my favourite) creative expression. The idea that we each have a unique calling in life, a blend of skills, talents and aspirations that leads to the most fulfilment, success and joyful expression. This idea of dharma – a healthy, happy, life-enhancing career sweet spot – set me on a quest to find, or create, my Dream Job. I feel certain that I wouldn’t be doing the work I love so much today if I hadn’t been introduced to this idea of dharma – or purpose in life. 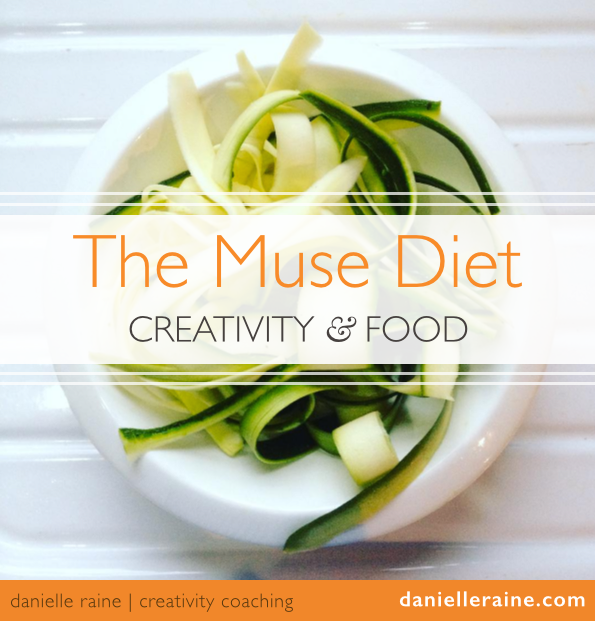 And lately, I’ve been feeling called to share what I’ve learned about my version of this idea – what I call our Creative Dharma. 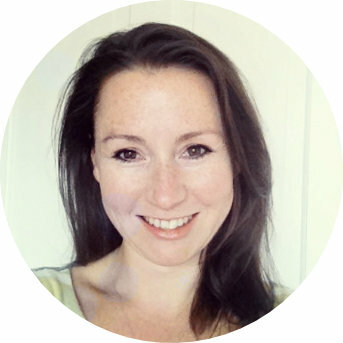 I’m currently working on an online course to reveal all I’ve discovered – (such a labour of love 🙂 ) – and I hope to soon have more details of when it will be available. 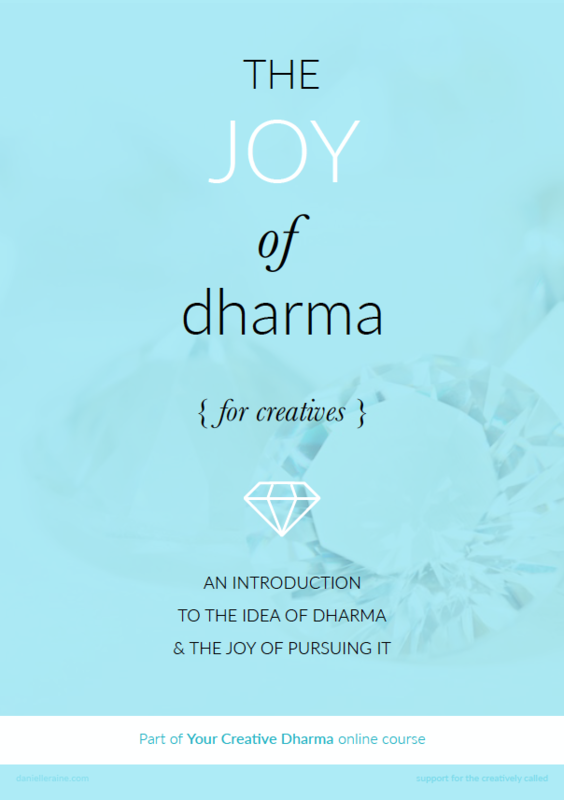 In the meantime, though, I’ve written a short ebook – The Joy of Dharma – as my homage to this concept, and where it has led me so far. 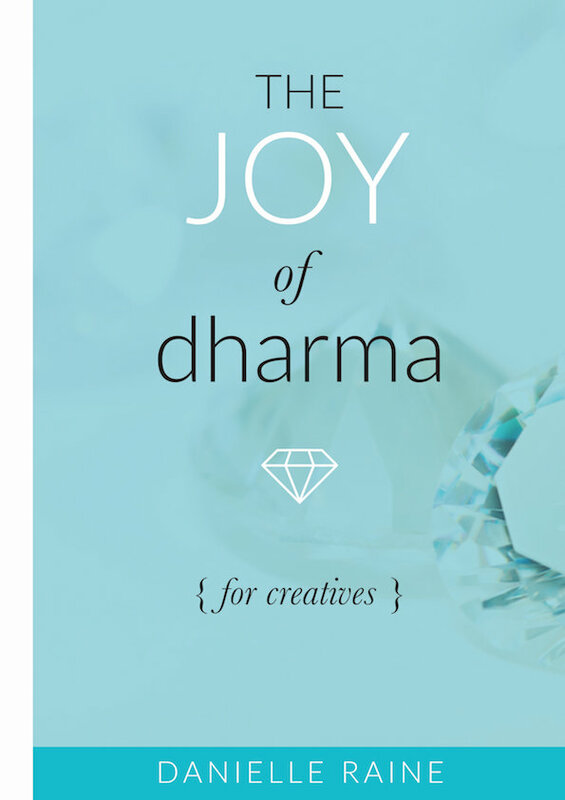 If you’re intrigued by this idea of aligning with the career and expression that is uniquely perfect for you – I hope you’ll explore The Joy of Dharma. 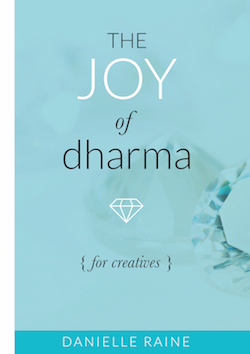 You receive immediate access when you sign up for the Wait List for my upcoming Creative Dharma ecourse. And I would love to hear your take on this beautiful, fascinating concept. 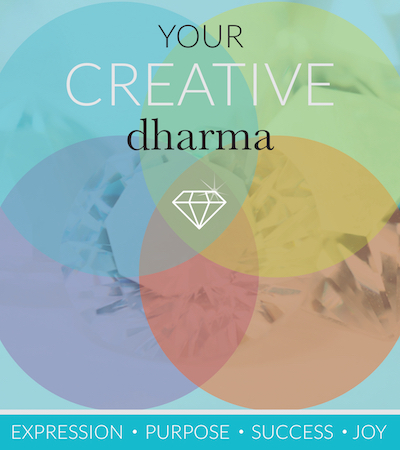 Maybe you are already living in your creative dharma!? when we launch the full course.